Meteorites in cold environments are susceptible to a similarly quick method of erosion. Despite their often long terrestrial residence, many Antarctic finds display quite fresh interiors while their exterior is heavily abraded by wind-borne ice crystals up to depths of 1 cm and more. Once the fusion crust is gone in places, the developing bare patches function as access gates for eroding particles. Often the meteorite’s matrix is deeply carved out between and even under patches of intact fusion by impacting ice crystals or quartz grains. The temperature gradient at the meteorite’s resting place is another important factor for the preservation of fusion crust. Large gaps between day and night temperature peaks will increase shear stress between the interior of the meteorite and its fusion crust because each has a different coefficient of expansion and contraction. Eventually, the induced shear stress leads to further flaking of the crust. At the same time, the fusion crust is subjected to chemical attacks both from the outside and the inside. 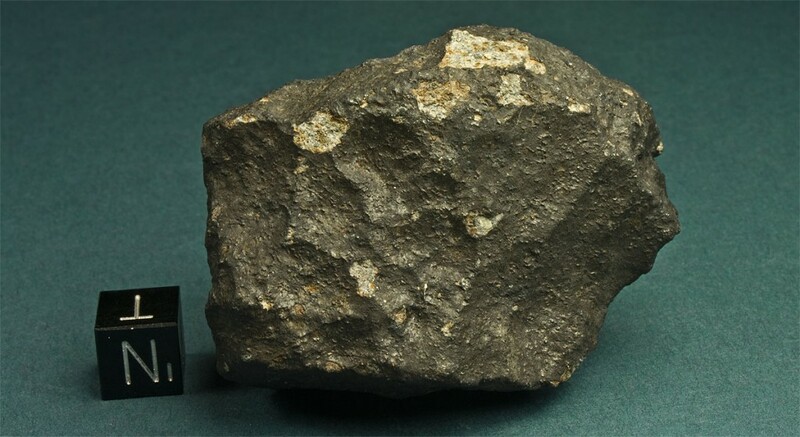 The main chemical weathering reactions taking place in a meteorite exposed to the elements are oxidation, hydration and solution. Humidity penetrates the meteorite through cracks and fractures. The humidity will dissolve available chlorides (in exchange for OH) and distribute them through the meteorite. Developing Fe(II) chloride (FeCl2) oxidizes further to Fe(III) chloride (FeCl3) and together with water it forms hydrochloric acid which is attacking the meteorite even further. 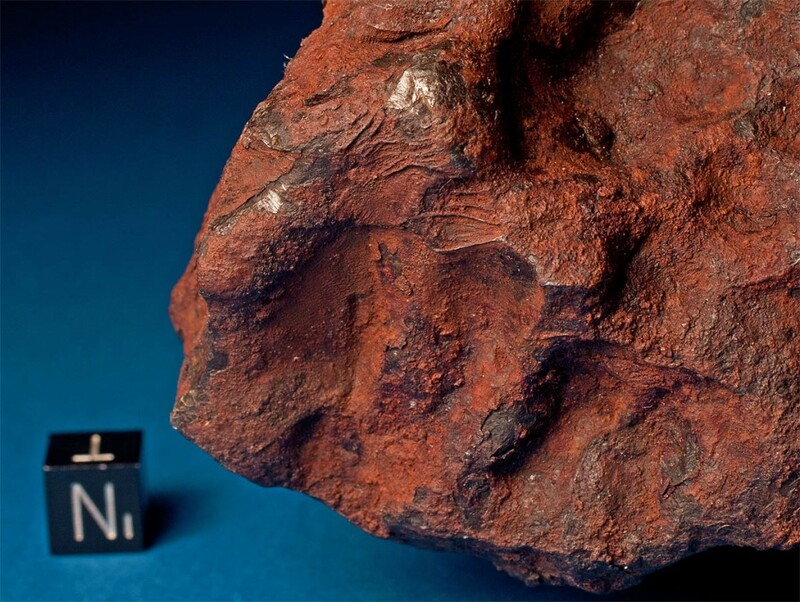 The oxidation of the meteorite’s iron is locally expanding its volume. If this occurs near its surface this will result in flaking of the fusion crust. 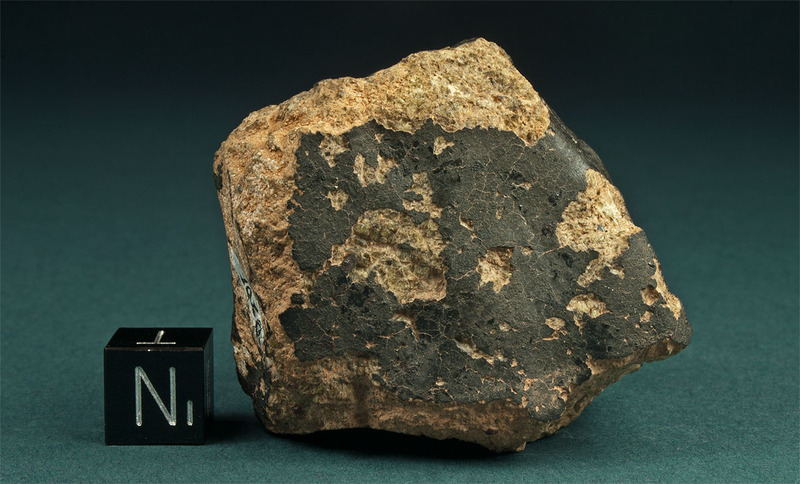 While the iron in the meteorite is oxidized to new weathering minerals such as goethite, minerals like olivine, pyroxene and feldspar turn into claylike combinations. While olivine is most susceptible to alteration feldspar offers the most lasting resistance. In a progressed state (W2-W3) these effects result in a rather brown color on the meteorite’s interior and exterior. 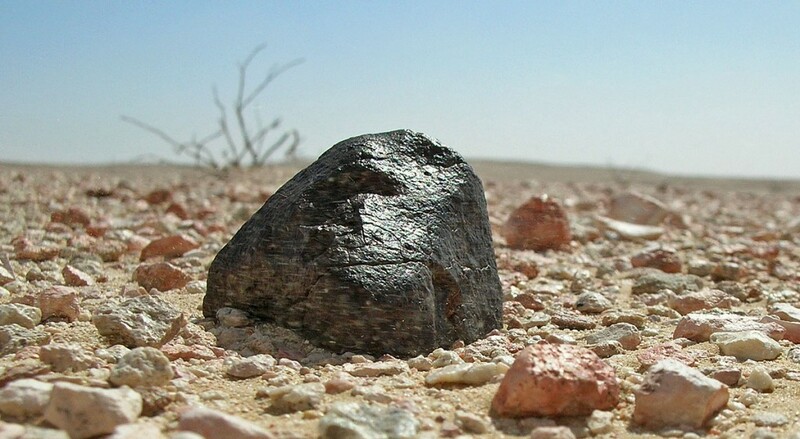 Sometimes, as with many finds from the deserts in Oman, leaching of dissolved oxides occurs which results in growing rust deposits on the exterior. If exposed to the elements for a long time, meteorites often develop deep weathering cracks. Caused by the increase in volume of the oxidizing iron, these cracks originate from the interior of the meteorite. Contrary to contraction cracks, these are intersecting the entire meteorite, providing further access to moisture and dissolving agents, and thus contributing to an even quicker alteration of the meteorite’s lithology. Sooner or later, these cracks will result in the complete fragmentation of the exposed mass.